One of the most successful musicians of all time, Paul McCartney is an 18-time Grammy winner, with 32 songs that have reached number one on the Billboard Hot 100. 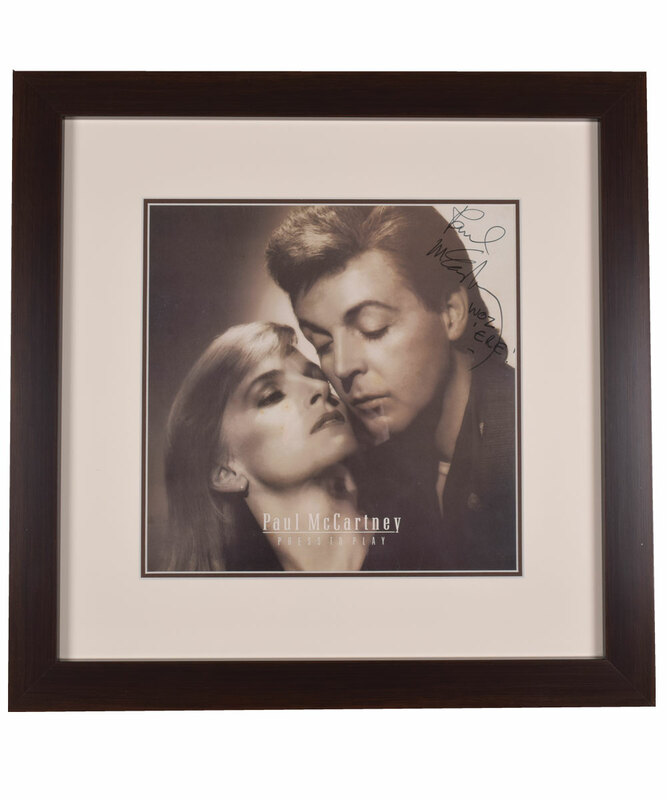 We have a signed and framed copy of McCartney’s Press to Play, with this example originally won in a 1987 raffle to aid the Adler Hay Children’s Hospital. A UK first pressing, the 1986 album has been signed by the Beatle over the upper right in fiber-tip marker, with “WOZ’ERE” added to the flawless scripting directly beneath. The album itself sports a couple creases along with a few blemishes across Linda McCartney’s face, with some minor dirt staining and spotting over the reverse. There is also a BBC sticker that has been added over the right side. Double-matted and framed to full dimensions of 20 ¾” x 20 ¾”, glass has been utilized over the reverse for perfect viewing of both sides of the album. A JSA LOA will accompany with the original LP and inner sleeve, along with additional documentation.